An experienced egg donation lawyer is essential in understanding the law. Section 742.14 of the Florida Statutes permits a woman to donate her eggs for reasonable compensation directly related to the egg donation. The statute also provides that the egg donor shall relinquish all maternal rights, obligations, and responsibilities to any child born from the donation. While we are fortunate in Florida to have a statute that relinquishes such rights and obligations, there are many more issues that must be outlined, such as intent, compensation, medical history and testing, future contact, confidentiality, and the responsibilities of the parties involved. As an egg donation lawyer, Karen Persis drafts egg donation agreements, and also reviews such agreements on behalf of the donor. A commissioning couple or commissioning parent can use an agency, or pursue donation privately. A donor may be known or anonymous. When utilizing a known donor, it is very important to establish boundaries regarding future contact (if any) between the parties, and the donor and the future children born from the donation. Regardless of how the commissioning couple or parent finds their egg donor — whether known or anonymous — the expectations, rights and responsibilities of the parties need to be fully documented in a contract, signed by the parties before the procedure takes place. Additionally, the donor must have independent counsel review the agreement on her behalf, which is generally paid by the commissioning couple or parent. The egg donation agreement takes time to draft, and then time to review. If you are considering egg donation, do not delay in hiring an attorney to prepare your contract. 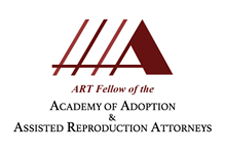 For more information contact Karen Persis, P.A., an experienced Florida Egg Donation Lawyer.